Bryan is a city in Brazos County, Texas, United States. As of the 2010 census, the city had a population of 76,201. As of May 2017, the estimated population was 84,637. It is the county seat of Brazos County and is located in the heart of the Brazos Valley (southeast Central Texas). It borders the city of College Station, which lies to its south. Together they are referred to as the Bryan–College Station metropolitan area, which has a population of more than 250,069. The area around Bryan was part of a land grant to Moses Austin by Spain. Austin's son, Stephen F. Austin, helped bring settlers to the area. Among the settlers was William Joel Bryan, the nephew of Stephen Austin. In 1866 the county seat of Brazos County was changed from Boonville to Bryan, and a post office was opened. In 1867, after many delays caused by the Civil War, the Houston and Texas Central Railroad, which had only previously gotten as far as Millican, finally reached Bryan. A short time later, in 1871, the city of Bryan became incorporated. Just south of Bryan, Texas A&M College opened in 1876 in what later would be known as College Station. The following year, 1877 saw the establishment of the Bryan Independent School District. Keeping up with progress in the rest of the country, Bryan added electric lighting and a waterworks to its community in 1889. The fifth Brazos County courthouse was built in 1892, and by the turn of the century, in 1900, the International-Great Northern Railroad stopped in Bryan. Using a generous grant of $10,000 from Andrew Carnegie, the Carnegie Library of Bryan opened its doors in 1902. In 1910 the town built an interurban railroad to College Station. By 1923 the line was abandoned. The first Jewish place of worship, the Temple Freda synagogue, was opened in 1913. During the 1930s the town of North Oakwood merged with Bryan. Now Bryan and College Station are "twin" cities. In 1936 State Highway 6 was built, running right through town. A fire at the El Dorado Chemical Co. in 2009 caused the evacuation of 70,000 residents due to the burning of ammonium nitrate, possibly causing minor respiratory problems. However, the city requested that only "anyone who can smell smoke or see smoke to evacuate their homes and businesses" and did not enforce an evacuation except for 500 homes in the nearby vicinity of the fire. Less than 1,000 residents chose to evacuate, taking shelter at Texas A&M University, which closed its campus for the day to ease traffic problems. City fire officials chose to let the fire burn down before tackling it, since the chemicals were water reactive. The evacuation, which started at 2:30 pm CST ended at 7 pm, except for a small, defined area immediately around the fire, where approximately 100 Bryan residents lived. In the end, only 500 residents were under a mandatory evacuation, and 35 people were treated for respiratory problems from the smoke. Officials from El Dorado said there was never any danger from the smoke or fire. The warehouse, valued at just under $1 million, was destroyed. In 2010 the Brazos County District Attorney's Office started the enforcement of a "Gang Safety Zone" in response to an escalation in violence within Bryan. Major US papers and ABC News covered this move. Cities like Houston and Los Angeles looked to the Bryan model of safety enforcement surrounding gang violence. The injunction declared a 3.2-mile (5.1 km) area in Bryan as the Gang Safety Zone. This placed about half of downtown in the area. In 2013 the Planned Parenthood clinic in Bryan closed as a result of state budget cuts which impacted family-planning facilities. The facility began offering abortions in 1998; it was one of three in the state which ceased operations on August 31, 2013. Bryan is located northwest of the center of Brazos County. It is bordered to the southeast by the city of College Station and to the northwest by the unincorporated community of Lake Bryan. The Brazos River flows past approximately nine miles to the southwest. 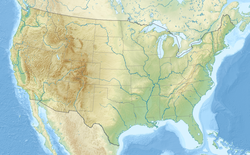 According to the United States Census Bureau, the city has a total area of 44.5 square miles (115.3 km2), of which 44.4 square miles (115.0 km2) is land and 0.077 square miles (0.2 km2), or 0.20%, is water. The local climate is subtropical and temperate and winters are mild with periods of low temperatures usually lasting less than two months. Snow and ice are extremely rare. Summers are warm and hot with occasional showers being the only real variation in weather. As of the census of 2000, there were 65,660 people, 23,759 households, and 14,873 families residing in the city. The population density was 1,515.2 people per square mile (584.9/km2). There were 25,703 housing units at an average density of 593.1 per square mile (229.0/km2). The racial makeup of the city was 64.65% White, 17% African American, 0.40% Native American, 1.65% Asian, 0.08% Pacific Islander, 13.32% from other races, and 2.17% from two or more races. Hispanic or Latino of any ethnicity/nationality were 17.83% of the population. There were 23,759 households out of which 32.3% had children under the age of 18 living with them, 44.2% were married couples living together, 14.0% had a female householder with no husband present, and 37.4% were non-families. 26.1% of all households were made up of individuals and 7.7% had someone living alone who was 65 years of age or older. The average household size was 2.65 and the average family size was 3.27. In the city, the population was spread out with 27.0% under the age of 18, 18.1% from 18 to 24, 29.8% from 25 to 44, 15.8% from 45 to 64, and 9.3% who were 65 years of age or older. The median age was 28 years. For every 100 females, there were 99.2 males. For every 100 females age 18 and over, there were 95.7 males. The median income for a household in the city was $31,672, and the median income for a family was $41,433. Males had a median income of $29,780 versus $22,428 for females. The per capita income for the city was $15,770. About 15.5% of families and 22.3% of the population were below the poverty line, including 27.0% of those under age 18 and 11.7% of those age 65 or over. The Texas Department of Criminal Justice (TDCJ) operates the Hamilton Unit, a pre-release facility in Bryan. Hamilton opened as an adult prison facility. It was renovated for juveniles and, in mid-1997, re-opened as the Texas Youth Commission (TYC) J.W. Hamilton Jr. State School. On June 15, 2003, the facility was transferred back to the TDCJ. The TDCJ also operates the Bryan District Parole Office in nearby College Station. The United States Postal Service operates the Bryan and Downtown Bryan post offices. The Federal Bureau of Prisons operates the Federal Prison Camp, Bryan, a women's prison, is located in Bryan. The Brazos Transit District began offering bus service in the Bryan-College Station in 1974. It offers fixed bus routes throughout Bryan-College Station. Operating on weekdays on an hourly basis, the seven routes converge at a central location for transferring between routes. It also offers paratransit services for disabled riders and an on-demand shared ride service. Texas A&M University, headquartered in sister city College Station, operates student-driven free buses on weekdays for use by the general public that includes coverage around several apartment complexes in Bryan near campus and along a route that culminates at the Blinn College campus. Bryan is served commercially by Easterwood Airport, a regional airport operated by Texas A&M University in College Station. United Express and American Eagle offer flights to and from their larger hub airports at George Bush Intercontinental Airport (United) and Dallas/Fort Worth International Airport (American). The city of Bryan owns and operates Coulter Field and provides fixed-base operator services, hangar space, and runways for private flights. William T. "Bill" Moore, state senator from 1949 to 1981, known as "the Bull of the Brazos" and "the father of the modern Texas A&M University"
^ a b "Geographic Identifiers: 2010 Demographic Profile Data (G001): Bryan city, Texas". U.S. Census Bureau, American Factfinder. Retrieved April 17, 2014. ^ Linthicum, Kate (2009-07-31). "Thousands evacuated amid Texas factory fire". Los Angeles Times. Archived from the original on August 3, 2009. Retrieved 2009-07-30. ^ a b "City of Bryan News". City of Bryan. July 30, 2009. Archived from the original on May 27, 2010. Retrieved July 30, 2009. ^ a b "Blaze prompts mass evacuation in Bryan". The Bryan-College Station Eagle. July 31, 2009. Archived from the original on August 2, 2009. Retrieved July 31, 2009. ^ a b "Evacuations Ordered Following Hazmat Fire in Bryan". KBTX. July 30, 2009. Retrieved July 30, 2009. ^ News, A. B. C. (18 August 2010). "Too Far? Cops to Gangs: No Cells, No Cars". ABC News. Retrieved 16 March 2018. ^ "Brooke Conrad, "Some residents lament loss of Bryan Planned Parenthood services while others celebrate end of abortions"". theeagle.com. Retrieved July 19, 2013. ^ "Monthly Averages for Bryan, TX". Weather.com. The Weather Channel. Archived from the original on September 26, 2009. Retrieved July 30, 2009. ^ "Hamilton Unit Archived July 25, 2010, at the Wayback Machine." Texas Department of Criminal Justice. Retrieved on May 6, 2010. ^ "11 TEENS ESCAPE JUVENILE CENTER; 6 STILL MISSING." Chicago Tribune. December 13, 1998. Retrieved on August 22, 2010. "Hamilton State School a former adult prison was renovated for juvenile offenders and reopened in mid1997." ^ "Secure TYC Facilities by Opening Date Archived June 12, 2007, at the Wayback Machine." Texas Youth Commission. Retrieved on May 6, 2010. ^ "Post Office Location – BRYAN Archived July 15, 2010, at the Wayback Machine." United States Postal Service. Retrieved on May 15, 2010. ^ "Post Office Location – DOWNTOWN BRYAN Archived January 20, 2011, at the Wayback Machine." United States Postal Service. Retrieved on May 15, 2010. ^ "FPC Bryan Contact Information." Federal Bureau of Prisons. Retrieved on September 4, 2010. ^ "Economic Impact Of Texas A&M Locally Estimated At $3.7 Billion For 2011, Up $1.7 Billion For Decade | Texas A&M Today". today.tamu.edu. Retrieved 2018-10-15. ^ "Hire-In Salary Schedule – Human Resources – Bryan Independent School District". Bryan Independent School District. Archived from the original on 28 April 2016. Retrieved 23 April 2016. ^ "FY2016_adopted_Budget" (PDF). Retrieved 23 April 2016. ^ "Bryan Broadcasting – The Flagship of Aggie Athletics". bryanbroadcasting.com. Retrieved 16 March 2018. ^ "Bryan College Station". The District. Retrieved July 30, 2009. ^ "Bryan Map for Web" (PDF). The District. Archived from the original (PDF) on July 28, 2007. Retrieved July 30, 2009. ^ "Paratransit". The District. Retrieved July 30, 2009. ^ "Off-Campus Transit Routes". Texas A&M University. Archived from the original on May 19, 2007. Retrieved July 30, 2009. ^ "Route 12" (PDF). Texas A&M University. Retrieved July 30, 2009. ^ "Route 15" (PDF). Texas A&M University. Retrieved July 30, 2009. ^ "What We Do". Easterwood Airport. Retrieved July 30, 2009. ^ "FAQ". Easterwood Airport. Retrieved July 30, 2009. ^ "Arrivals". Easterwood Airport. Retrieved July 30, 2009. ^ "Departures". Easterwood Airport. Retrieved July 30, 2009. ^ "About". Coulter Field. Archived from the original on April 12, 2005. Retrieved July 30, 2009. ^ "Services". Coulter Field. Archived from the original on January 3, 2006. Retrieved July 30, 2009. ^ jordan.overturf@theeagle.com, JORDAN OVERTURF. "St. Joseph hospital earns status as Level II trauma center". Retrieved 16 March 2018. ^ Oder, Michael. "St. Joseph Hospital Gets Higher Trauma Rating from State". Retrieved 16 March 2018. ^ "Welcome to Baylor Scott & White Medical Center – College Station - Baylor Scott & White Health". www.sw.org. Retrieved 16 March 2018. ^ "Terry H. Anderson" (PDF). tamu.edu. Archived from the original (PDF) on May 27, 2010. Retrieved October 12, 2010. ^ "Chester S.L. Dunning" (PDF). tamu.edu. Archived from the original (PDF) on May 27, 2010. Retrieved October 16, 2010. ^ "Meet John Raney". electjohnraney.com. Retrieved September 20, 2013. 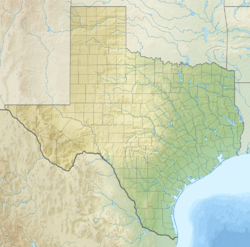 Wikimedia Commons has media related to Bryan, Texas.